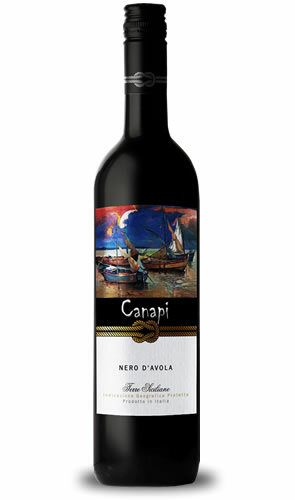 Canapi Nero d’Avola wine. L&P Global. Terre Siciliane IGP. Italia - Riesi IGP. The harvest normally takes place between the second part of September and early October. Then, the grapes are destemmed and gently pressed and after adding selected yeasts, fermentation takes place at controlled temperatures not exceeding 28oC. Full of ripe red berry aromas and flavors supported by soft tannins. This wine is perfect for drinking with pasta dishes but also on its own. Combine with roast meats.